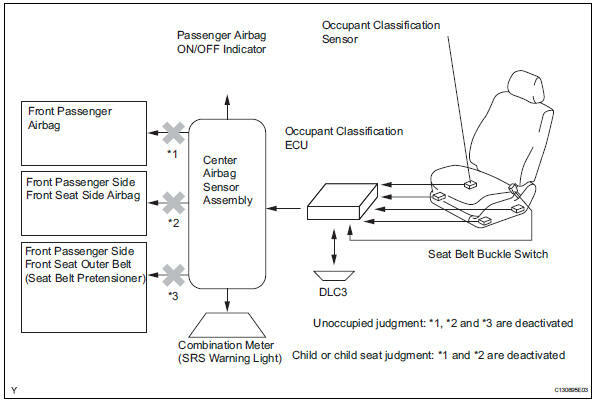 The front passenger occupant classification system judges whether the front passenger seat is occupied or not in accordance with the seat belt buckle status; and whether the seat is occupied by an adult or child (with child seat) in accordance with the load that is applied to the front passenger seat. Thus, when appropriate, it restricts the deployment of the front passenger airbag, front passenger side airbag, and the front passenger seat belt pretensioner. In addition, the system informs the driver of the result of the judgment through the use of the airbag on/ off indicator.